One day I learned what Den pharaoh of the first Dynasty, had to do with out modern taxes. 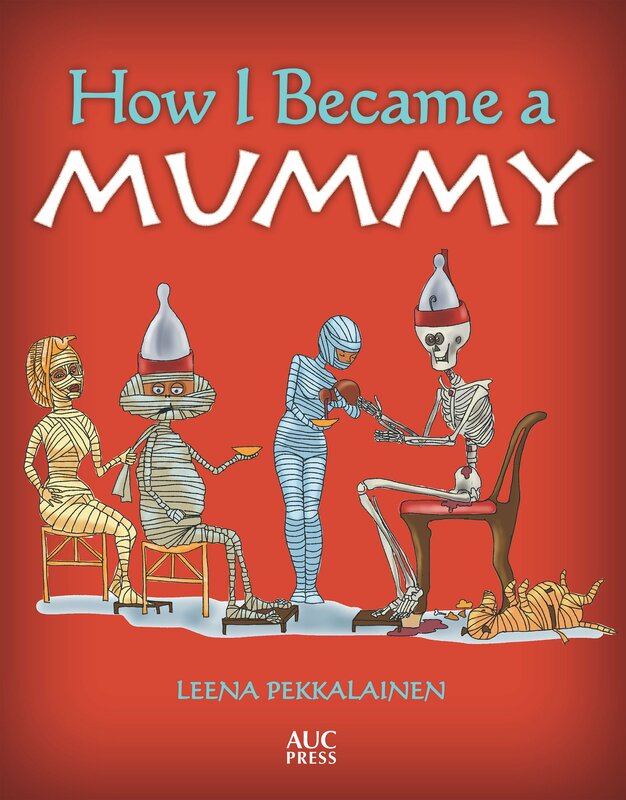 Mummific and I had not had time to write the website for some months, as other projects had stolen our time. (More about that later). But spring sun had clearly invigorated Mummific. I became aware of the fact when I heard him wheezing in the living room. The sound of his labored breathing was no wonder (somehow a mummy breathing still escapes the logic), but the hurried pat-pat-pat of his feet was odd. I was sitting in the balcony, enjoying the warm spring day while I was writing the second part of my Nephilim Quest series. 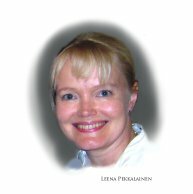 I had only recently bought a new laptop, and enjoyed writing where ever I wanted, not tied to a desk. “What are you doing” I yelled through the open balcony door. “Proving my worthiness as a king,” he answered me. This I had to see, even if nothing seemed to be breaking. I closed my laptop and carried it with me indoors (no way was I going to leave it for him to find – way too expensive toy for a dead pharaoh to play with). 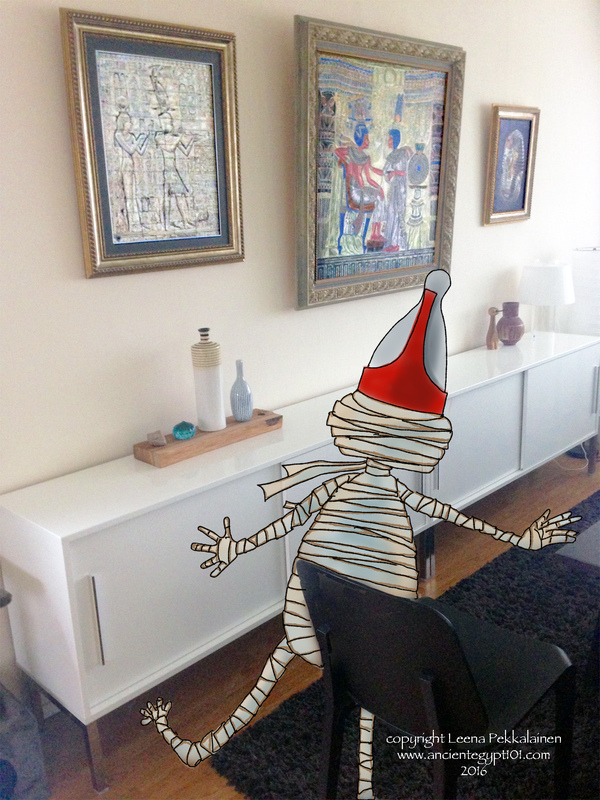 Mummific had placed of our dining room chairs at the corners of our dining table and was running around them, circling them in a determined way. I had not seen him run like that before, and the sight was pretty funny. He tottered around with his stiff legs kicking sideways and tried to keep his balance by waving his hands by his sides at the same time. The reason for this funny movement was that his legs were so tightly wrapped with linen that he could not really bend his knees. “Ok… I repeat: what are you doing? I helped him up, trying not to breathe the mummy dust in the air. He did not stop to thank me but quickly resumed his run. “Did anyone see that?” he asked me. “This house, of course,” Mummific seemed to have reached his goal, because he stopped and panted so that his dry tongue stuck out of his mouth. “But you said no one saw it!” he looked at me accusingly. “I saw it, and as this is my home, I think that counts. You fell, so you cannot claim to be the king here. And who invented that odd idea about running around boundary stelae to prove a king is fit to rule?” I asked while I went away to hide my laptop of top of a book case, and out of Mummific’s sight while he still had his back towards me. He always turned his back to me when he was sulking. I had learned to take advantage of the fact. “Den Pharaoh,” he answered with gritted teeth. I did not like the sound of that – the said teeth were in constant danger of falling off his mouth and gritting them was definitely not a good idea. 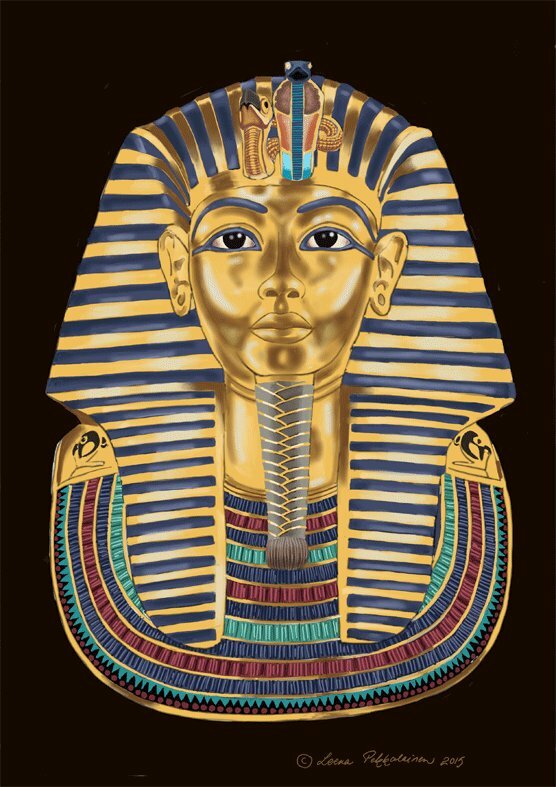 “Den pharaoh? The same Den pharaoh whose mother is Merneith?” I asked to make him open his mouth and speak. I was careful not to correct his wording to king Den. 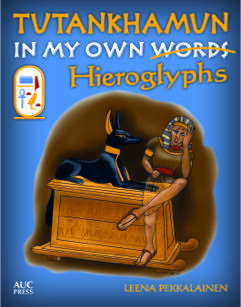 Mummific could be rather touchy when I pointed mistakes in his use of modern language. I peeked from the doorway when he started talking, and thankfully I saw no teeth flying in the air. That sounded much like an ancient version of.. well, sports competition. Dead pharaohs trying to outrun other dead pharaohs while circling stone stelae. Hmm. That certainly made an interesting image in my mind’s eye. “What are these?” I heard the unmistakable sound of papers being leafed through. “Don’t touch anything!” I ran to the rescue – just in time as Mummific was just about to make a mess of carefully piled papers I needed to do my taxes. Mummific did not let go of the form but peered at it up close. He complained it was hard to see sharply as his eyes were dry. Well, that was easy enough to believe. “Are those numbers?” he pointed at the scribblings I had made with a pencil. “Ahh… taxes. 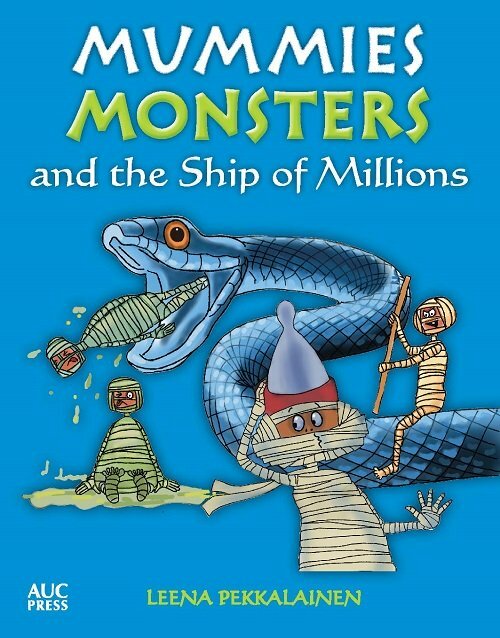 You can thank Den pharaoh for that too,” Mummific looked somewhat spiteful. “I can imagine a few people who would not see that as a service to human kind,” I sighed, eyeing my pile of receipts. I took my tax papers carefully from his hands and placed them on the table. Mummific turned and walked away trying to whistle with poor success. Then I noticed something was missing. He hastened his steps, but the tight bandages on his legs did not exactly help him when he tried to reach the false door before me. 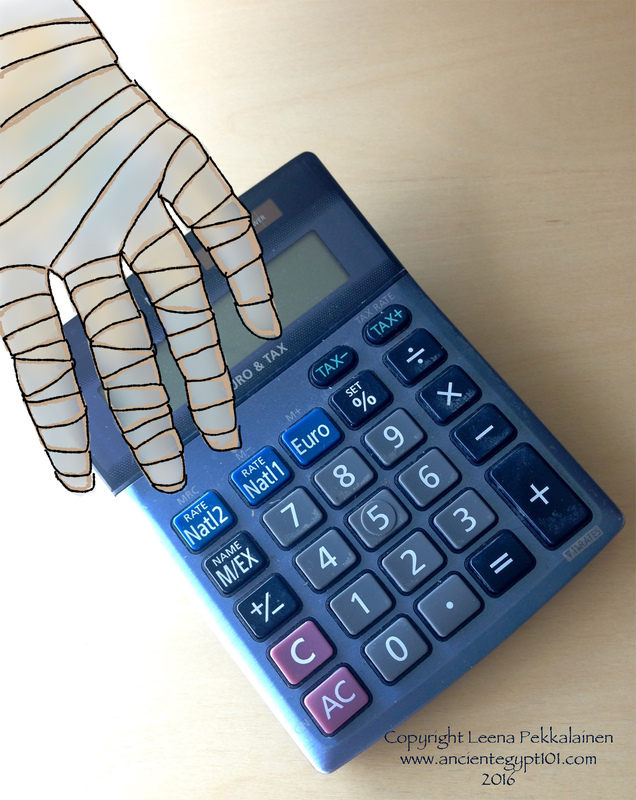 I caught him in time and managed to get my calculator back before it vanished into the afterlife. Mummific sulked. He loved pushing buttons and the calculator had plenty of those. Thank goodness our house did not have lifts. No one would even have managed to use it with Mummific spending his days there pushing buttons… Or just to think what he would do to my novel if he found the laptop.. Brr, I felt chills running up and down my spine. I thought it better not to show him where I had hidden my new laptop and put the TV on. Mummific loved nothing better than watching the Picture Box and climbed on his pillow on the sofa. Once he was safely occupied, I sat down by the table to finish doing my taxes.